The wild characters of Suicide Squad have already made a pretty big mark in the superhero genre. The most iconic one of the bunch is definitely The Joker, played by Jared Leto (Dallas Buyers Club). But considering the amount of fame surrounding the character, an equal amount of pressure goes along with getting the chance to play him. 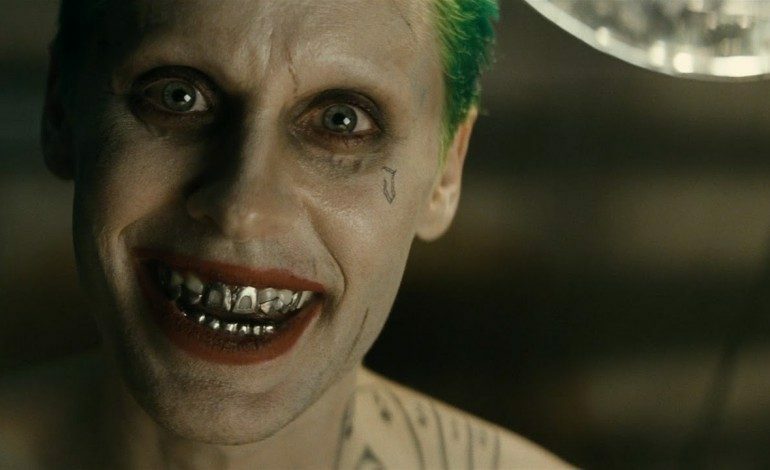 Leto and writer-director David Ayer has repeatedly discussed how they have tried to create a unique version of the villain. And by the trailers we have seen so far, that may very well be the case. Past portrayals of the character have come in many shapes and sizes over the past few decades. Some of the most legendary ones include Heath Ledger in The Dark Knight, Jack Nicholson in Tim Burton’s Batman and Mark Hamil in Batman: The Animated Series. It will be interesting to see how Leto handles it with so many A-list actors having come before him. One of the ways he may do that is with the appearance. His Joker not only wearing glossy, stylish clothes but also sports some creepy tattoos. And while there’s still plenty of mystery surrounding those markings, Ayer recently explained a little background on them. In an interview with Yahoo Movies, he revealed a few details that open doors for diverse interpretation. The tattoos tell a very specific story, and eventually people will decipher them and understand what’s going on, but obviously they’re contentious, any time you do something new it’s contentious. There’s very specific stories and easter eggs in those tattoos. Because the DC Cinematic Universe is still in its infancy, we may not be able to fully understand all of the hidden meanings in The Joker’s tattoos right away. Since there are talks of both a sequel to Suicide Squad and potential spinoffs, the hidden meanings behind the character probably won’t end here. This version of The Joker seems like it will faithful enough to the source material but also expand off of Ayer’s own vision. And tattoos are just one piece of the character that has already received a big response. Ayer is aware of The Joker’s notoriously evil smile, which has allowed for some modification to his teeth. And even his teeth, there’s an entire story behind that which is absolutely canon. It’s putting his history on his body. This Joker is a little more working class, who I believe could live in our world. Suicide Squad is just a few short months away. It has somewhat divided the fanbase because of its unusual style. Either way, it’s got a phenomenal cast and director behind it. In the end it may prove to be an integral mark in the superhero genre, or just a wild ride.